With so much misinformation out there it can be difficult to know if you are eating a healthy diet that meets your nutritional needs. A nutritional deficiency can develop due to several different factors including smoking, exposure to pesticides, an illness, poor diet, emotional stress or even pregnancy to name a few. When your body lacks a specific nutrient you may be at increased risk for diabetes, obesity, cancer or stroke. At the Advanced Medical of Twin Cities we take nutrition seriously. Our professional staff includes licensed and registered dietitians who can assist with identifying and treating nutritional deficiencies for improved health. If you are like thousands of other individuals in the Twin Cities area you may be suffering with symptoms of nutritional deficiencies and not even know it. A recent illness or infection can have you feeling run down, fatigued, muscle aches and pains, weight gain or at risk of a chronic health condition. Being able to recognize signs and symptoms that you are deficient in vitamins may be your first indication that you could use the help of a registered dietitian. Eating a well-balanced healthy diet can improve your immune function, help you maintain a healthy weight, improve your brain function and give you more energy. On the other hand, if your body is lacking a key nutrient or vitamin then you may begin to notice some common signs of a vitamin deficiency. 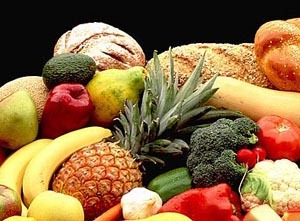 Registered dietitians are highly educated on the effect that foods can have on the human body. Good nutrition with essential nutrients can have positive benefits for your health and a lack of proper nutrition can be detrimental for your health. Your nutritionist at Advanced Medical of Twin Cities can recognize a specific nutritional deficiency and assist with a simple dietary plan to correct the imbalance and improve your overall health, reduce your risk of having a stroke, getting cancer, diabetes, coronary artery disease, obesity or hypertension. For a comprehensive evaluation of your nutritional health, schedule a consultation with a licensed and registered dietitian at Advanced Medical of Twin Cities. We have trained dietary experts who can identify a nutritional deficiency in your body and help you with a simple treatment plan to correct any vitamin or nutrient imbalance naturally. Simple changes may reduce your risks for developing a chronic disease. Call Advanced Medical of Twin Cities at (763) 541-1280 to jump-start your nutritional health and well being.